At Affinity Counseling, we like to try a wide selection of different forms of therapy. We offer different forms of therapy because what might work for some people won’t work for others and vice versa. One of the forms of therapy we offer is play therapy. While you might have heard of play therapy in passing, Affinity Counseling wants to cover some of the basics with you, so you can further understand it and figure out if it’s the right path for your child. Play therapy is a form of therapy that is generally used for children who are between three and 11. This form of therapy helps to provide a method for the child to express his or her feelings as well as experiences in a self-guided, comfortable, self-healing, and natural environment. Children generally communicate via playing and by incorporating this method, they’re able to understand and learn how to communicate and accept themselves as well as other people in their life. Play therapy can be helpful for younger children. 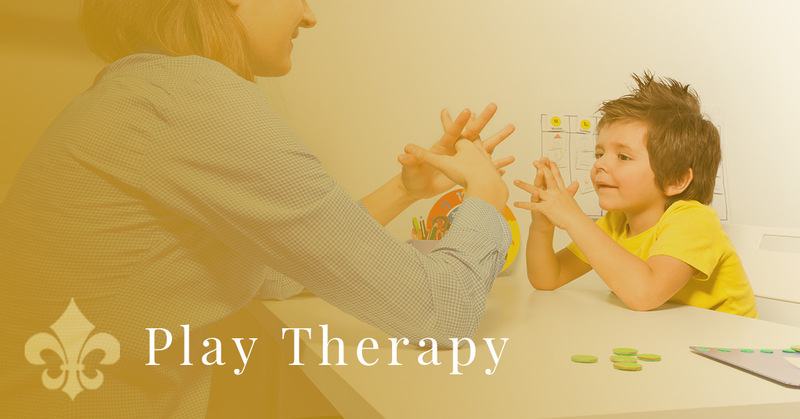 Play therapy is a type of counseling that uses play to communicate and help to avert and solve any psychosocial challenges that might be holding your child back. Play therapy is considered to help in growth and development, trauma resolution, emotional modulation, and social integration. Play therapy can also help as a tool for diagnosing. The process is a simple one. A therapist who is experienced in play therapy will watch the child play with toys and this can be any type of toy he or she feels comfortable with. It can be pets, dolls, play-houses, and everything in between. The therapist will observe them playing and figure out what the cause of the disturbed behavior might be. They’ll look at the patterns of the play, the objects that are used, and the willingness the child has to interact with the therapist. This will all help the therapist to determine and understand the underlying rationale of the child internally as well as externally from the therapy sessions. When it comes to assessments and diagnostic purposes, it’s essential that play therapy should be taken with caution. When Play Therapy Can Be Used? When should play therapy be implemented? Play therapy should be implemented when a child has gone through or witnessed a stressful event in his or her life. This can include a hospitalization, serious illness, abuse, trauma, domestic violence, a family crisis, or any other type of upsetting situation in his or her environment. When play therapy is implemented, it can help a child’s communication, their emotional and social behaviors, skills to help with problem-solving, behavioral disorders, and learning disabilities. Our Oklahoma City based counseling center is located in a central part of the city. We strive to offer convenient services about psychological counseling services as well as life coaching programs. In addition, our counseling center offers a wide variety of services that are focused on specific areas. For more information about our services or play therapy, contact us today.